Théo Pozoga, better known as Strip Steve, is one of the up-and-coming djs and producers gathered around Berlin’s notorious party starter Boys Noize. The Frenchman who is currently based in the German capital turned heads for the first time two years ago with his debut album Micro Mega. While staying within the stylistic framework of the French house tradition, the record also paid tribute to the founding figures of the genre from the other side of the Atlantic (particularly through a collaboration with the Chicago legend Robert Owens). On his most recent release, the „Crowd Control“ EP, the influences of Chicago house have become even more evident. 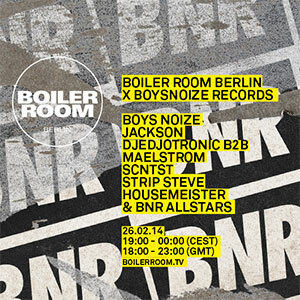 Prior to his appearance on the Boysnoize Records takeover show in the Boiler Room Berlin this Wednesday he’s provided us with an exclusive DJ mix. Théo, how did you choose the tracks for the mix? Did you have a certain concept in mind? Hey! I didn’t really have a particular concept in mind except i wanted to showcase some old tracks i love, some recent ones, and some of mine! You’ve just released your new „Crowd Control“ EP on Boysnoize Records. What are your plans for the immediate future? I’m working on some remixes and am already recording „Crowd Control Part II“!